The Wizards fall in double overtime to the Pacers 99-95 in a game that had a playoff like atmosphere. For the Pacers, this was a playoff game as they needed to win both of their remaining two games to claim the 8th and final spot in the eastern conference standings. George Hill and C.J. Miles were the players of the game for the Pacers scoring 24 and 25 points respectively. Both teams started out ice cold from the field to start this one. The first bucket by either team wasn’t scored until the 9:10 mark of the first quarter as they started a collective 1-10 from the field. Poor shooting from both sides continued throughout the quarter as this one was tied 16-16 after one. The Wizards bench started the second quarter and provided a spark for this team. The bench scored 35 points in this game including 10 from Otto Porter. C.J. Miles was the go to guy for the Pacers in the second. He had a neon green light and was jacking shots up at will. Midway through the quarter, he went up for what would have been a posterizing dunk on Kris Humphires but Humphries came away with the block. The Wizards locked down of defense including no baskets on seven straight possessions for the Pacers in the second. The Wizards stretched the lead out to 8, 41-33 holding the Pacers to just 27% shooting. The second half was a different story as the Pacers started out 5-6 from the field. Cold shooting from the Wizards resulted in a 9-2 run for the Pacers who were able to cut the lead to one, midway through the third quarter. The Wizards had a very effective 16 fast break points and 36 points in the paint including a steal from John Wall and a nifty behind the back pass to his backcourt mate Bradley Beal for the throw down. Even so, the Pacers were able to cut into Washington’s lead trailing by just 3, 59-56 entering the fourth quarter. As poetic justice would have it, Paul George exceeded his minutes restriction tonight to hit a three to open the fourth quarter and tie the game. The Wizards would utilize a 9-0 run midway through the fourth quarter to take a 70-61 lead and it felt like the Wizards might coast away with this one. Nope, in #sowizards fashion, the Wizards blew the nine point lead. The Pacers had a stretch where they scored on eight straight possessions in the quarter to get back in this one. With the game tied at 81, Randy Wittman drew up a 1-4 play for John Wall. John did not get a good look and missed the shot. We’d be going to overtime. Overtime was hard on the eyes for both teams as the Wizards scored two points through the first four minutes. The Pacers didn’t get their first bucket of the session until Roy Hibbert hit a desperation jumper with the shot clock winding down. With the game tied at 85, this time, Randy Wittman drew up a play for Bradley Beal who had the ball stripped and deflected off his leg. We’d be going to a second overtime. The Pacers took firm control in the overtime when C.J. Miles hit a corner 3 to take a three point lead. The Wizards looked deflated and you could tell this one was over. Back to back field goals from David West and the lead was up to seven. Bradley Beal hit a three to cut into the lead but it was meaningless at that point as the Wizards would fall 99-95. 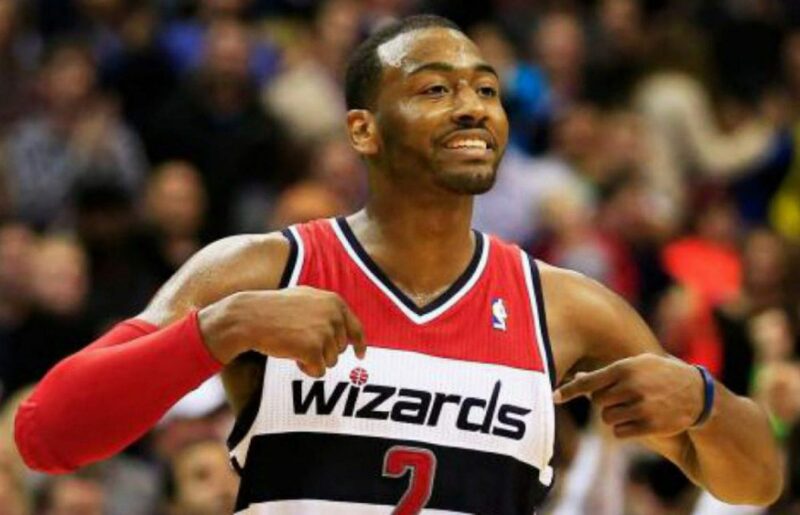 The Wizards are locked into the 5 seed so the game didn’t matter standings wise. The Wiz cap off the season tomorrow night in Cleveland. Wouldn’t be surprised if all of the starters got the night off.